Admit it. In the grand scheme of things, if you’re reading this note, life has been good to you. You’re pretty lucky. There are some people that struggle to come to grips with the idea that luck plays any role in their life. I think that’s okay. If it’s hard to pinpoint where hard work and talent and serendipity come together, there is nothing wrong with defaulting to focusing on what you control. The only time it’s not right to pooh-pooh luck is when you come across someone who has not risen above their circumstances. It is possible to work hard and have talent and never get a break. Don’t look down on that unfortunate soul. It happens. Next week, make some luck. Put yourself in a situation where serendipity can take hold. Talk to a stranger in line. Be generous with your time. Say yes to something you don’t want to do. Say yes to someone that needs a lucky break. Keep your good fortune rolling. What is walking distance for you? The research on walking suggests a strong correlation between walking and fewer cravings, walking and weight control, or walking and easing joint pain. Anecdotally you know that we spend too much time sitting, it feels good to stretch your legs, and it’s hard to have an adventure while driving. Walking, therefore is good stuff. Here’s an exercise that I picked up from the aptly named Alissa Walker. Learn your neighborhood, inside and out, by walking. When you play with the radius, keep in mind 1 mile is roughly 20 minutes of walking. Now, in a 3 mile radius – 1 hour of walking one way – what’s at the fringes of that map that’s interesting? That’s a day trip. In a 2 mile radius – 40 minutes one way – what do you see at the edges now? That’s a long walk with the dog. In a 1 mile radius – 20 minutes from your home – what do you see? You should know that area like the back of your hand. My surprise is looking at the 3 mile radius. It contains everything I do, everyplace I visit regularly, and most of the people I know. 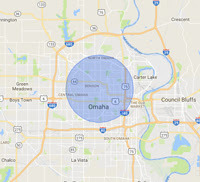 Probably 90% of my time is spent in that circle, but there are parks, monuments, and countless other items that I know nothing about. Like I said, surprising. 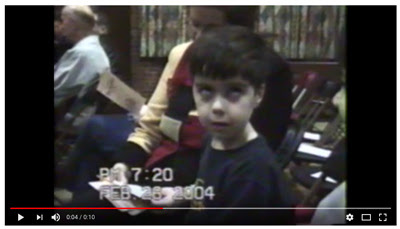 It’s my kid, so of course I think it’s adorable, but take a close look at the pure satisfaction on his face between :05 and :07 . . . well, I just hope to be that delighted with myself someday before I’m gone. One Million Software Companies by 2027 Who holds the algorithms accountable?